Pozi is an online application for answering location-based enquiries. 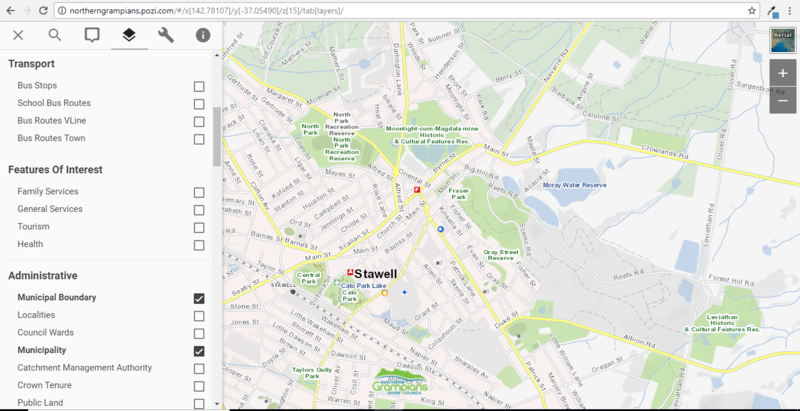 The browser-based viewer makes it easy for staff and the public to access a wealth of information about properties, assets, community facilities and more through simple search and navigation controls. In one map, you can view up-to-date information from DataVic, DELWP Image Web Server, data.gov.au, NationalMap, Google, HERE, OpenStreetMap and your organisation’s own corporate databases.